We are pleased to announce that Yamaji Art will be exhibiting existing and new works for “The Gurawu collection” at the Mundaring Art Centre next month. 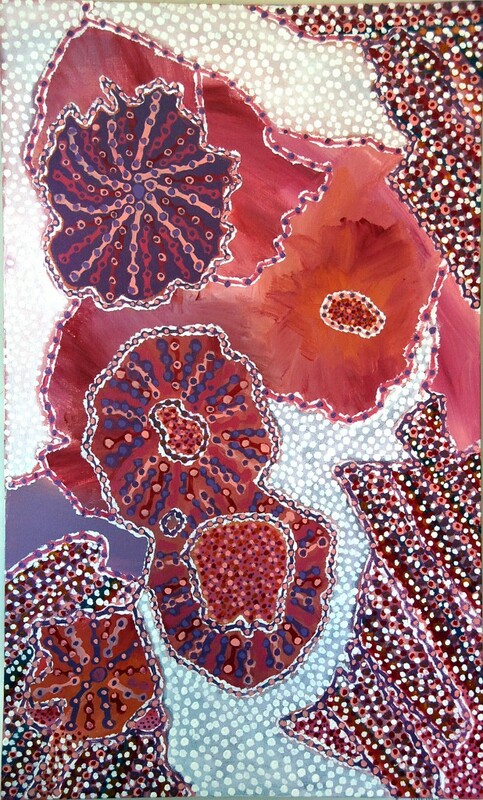 The collection consists of impressionistic interpretations of the cultural stories about the wildflowers in the Midwest of Western Australia. This technique was imparted to the artist during a professional development workshop with principal artist Rolande Souliere. Many of the pieces are vibrant in colour and capture the true essence of how the landscape comes alive during the wildflower season. The exhibition’s opening night will be Fri, Mar 24, 2017 at 7:00pm and will be on show until Sun, Apr 30, 2017 3:00pm at Mundaring Arts Centre | Gallery 2. 7190 Great Eastern Highway Mundaring, WA, 6073 Australia.